If you’re starting a new business, you want to find the perfect location. That can require searching for the ideal spot that fits your budget, even if you have to update the property before you can move in. If you find a building and it needs some upgrades to the HVAC system, G&R Heating and Air in Gilberts is here to help. We can assist you in choosing the right commercial HVAC options, and we’ll install them in a timely manner so you can open your doors! You may have been in the same office building or store location for years, and if you’ve noticed that your heating and cooling systems are starting to have problems, we can take a look at your rooftop units, ductwork, and more, and install new equipment where needed. If you need to expand your current building to make room for new employees, we can talk about adding another rooftop unit so that your office is properly zoned and everyone is comfortable all year long. As you can see from the picture on the right, we take commercial HVAC installation very seriously, and you can count on our team being professional the entire time we’re working on your new system. We make sure that everything is properly secured and that everyone is working safely as the unit is put into place. We’ll do our best to minimize interruptions to your daily routine, and can schedule an installation time that works best for you. 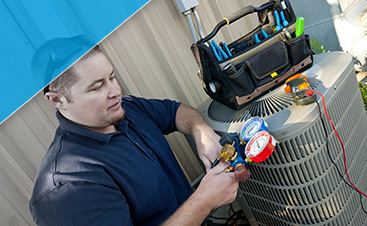 If you’re in need of new commercial heating and cooling equipment, give us a call today. We’re always happy to help a business owner update their building’s HVAC system, and we can work on projects for single locations as well as multiple properties, such as strip malls. At G & R Heating and Air in Gilberts, we know that your company needs a reliable HVAC system that will work when you need it to and not cost you a fortune each month. Our commercial installation experts can answer all of your questions regarding new systems, parts and maintenance, and much more. #1. How Long Will My New System Last? This is a question we hear quite often, and it’s a great place to start once you’ve narrowed down your choices for your new HVAC system. The answer could be what helps you make your final choice between two options, and we’ll make sure you end up with a system that will serve you for many years. The exact answer will depend on the systems you’re considering, and different models can age at different rates. We’ll also consider the size of the system you need and the demands your building will place on it. Will employees be there 24 hours, or will they only be there for a normal eight-hour workday? Some heating and cooling systems can last between 12 and 15 years, while others will continue to run smoothly for 20 years or more. #2. What Are My Warranty Options? Each HVAC model that we install comes with its own warranty options on parts, and we’ll make sure you know exactly what those options are. We also offer a full one-year warranty on all of our installation work. If something goes wrong or needs immediate attention, we’ll be there to fix it right away. We want you to have the peace of mind that your system is covered and that you have an expert team ready to help whenever you need us. If you’re looking for answers to these questions, or you have others regarding commercial HVAC installation, contact G&R in Gilberts today! When you step into a business, whether it’s a cafe, a shop, or an office building, you’re there for a purpose. However, how often are you distracted from that purpose if you feel that the building is too hot or too cold? 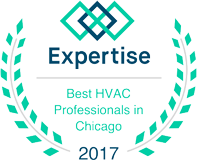 Business owners must be conscious of how well their HVAC systems are working so that they, their employees, and their customers are comfortable at all times. If that comfort is compromised, it can be bad for business. At G&R, we can help you choose the right commercial system for your building so that comfort is never an issue. 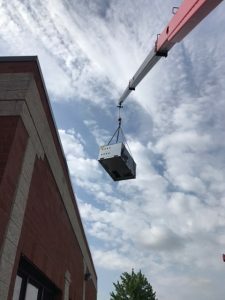 You’re most likely familiar or perhaps have even seen a rooftop HVAC unit on a commercial building. Every building, from a strip mall to a skyscraper, needs the right heating and cooling setup, and it’s essential to have a system that can provide climate control for the entire structure. Our team can provide a load calculation for your new rooftop unit based on factors such as square footage, the number of people who work in the building, and the hours your building is open. Most businesses are larger than residential homes, and therefore require larger and more efficient HVAC systems. However, size in this instance doesn’t refer to the dimensions of the HVAC unit, but rather the output that is needed based on the factors listed above. You want your system to be efficient, and since most commercial packages combine both heating and cooling into one, it can be fairly easy to find an energy-efficient option. However, you don’t just want to choose the first system you see, as it may not turn out to be the best choice for your building.Sizing a commercial system requires a professional touch, and the experts at G&R can recommend the best option for your business. If you own multiple spaces in a strip mall that will share the HVAC system, we’ll discuss the best choices for your needs. If you need multiple units for a larger building, we’ll make sure you have options that fit your budget. Rather than waiting for your commercial system to begin having problems, start your search by contacting us today. Your system may have quite a few years on it, and instead of waiting for it to break down and then replace it, be proactive and speak with a certified HVAC installer now. 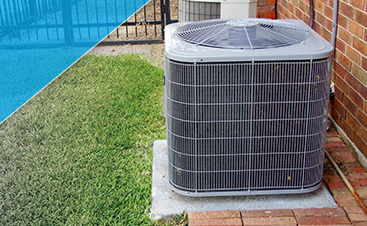 We can help you choose a new system, decide when it will be best to install it, and set up a regular maintenance plan to keep it running for many, many years. Your comfort and satisfaction are of paramount importance to us, just as we know the comfort and satisfaction of your employees and customers are to you. If people have commented that your building feels a bit too warm or too cold, or you’ve noticed that your HVAC system is beginning to have issues, contact us in Gilberts today.